A portable mobility scooter is an excellent way to go to the shops or travel around the local area. We often say to our customers’ that there’s nothing to stop you going further afield – perhaps, say, for a seaside walk or a ramble in the countryside if you have the means. 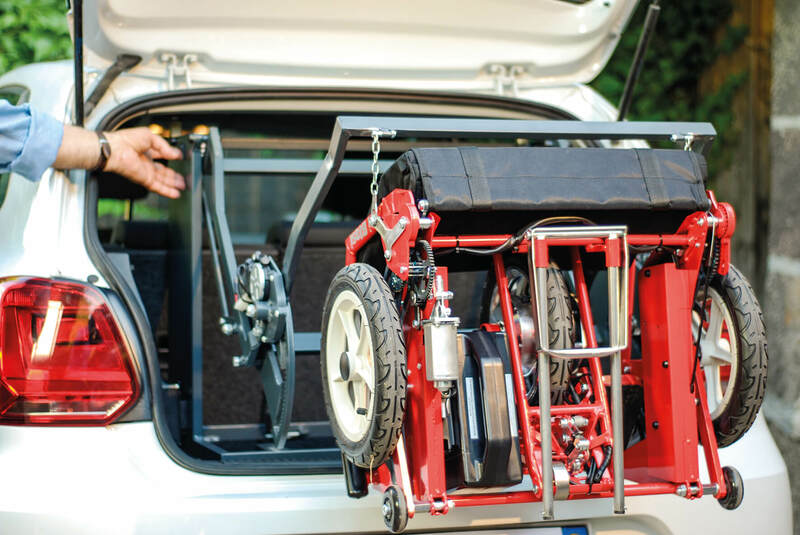 First things first, you need to get the mobility scooter into your car boot – which isn’t always an easy task. If there isn’t someone there to help, your mobility scooter or wheelchair could be too heavy or awkward to get in and out of the car boot. Luckily, there are many ways to do this without putting unnecessary strain on your body. 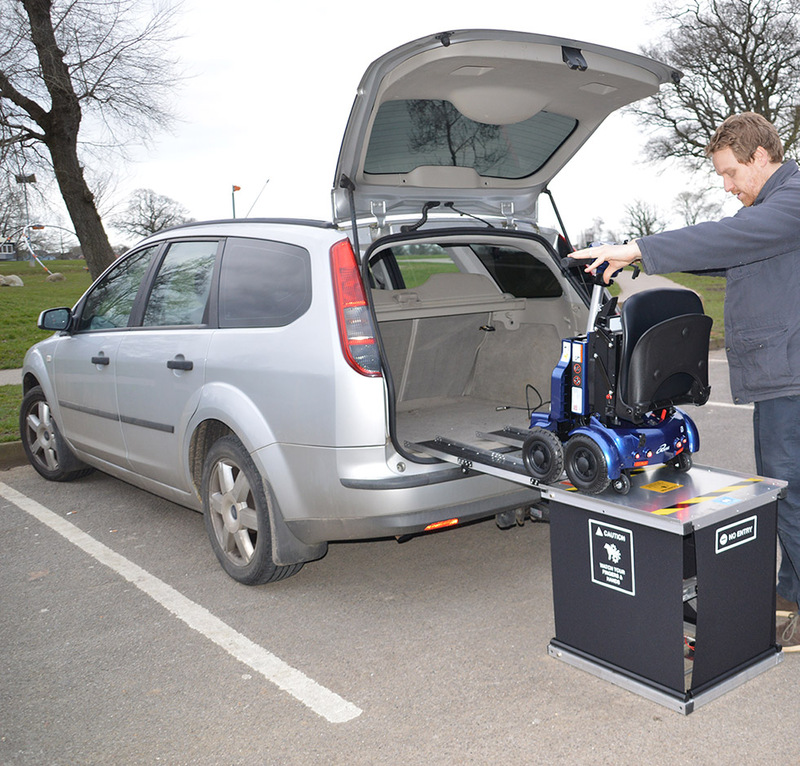 Of course, there isn’t one solution to suit everyone, but in this blog, we’re going to outline a few different options to make getting your mobility scooter or wheelchair into the car boot. These days there are so many different 4mph mobility scooters that either fold or dismantle to make things easier. And just because they are portable, doesn’t mean they won’t cover a large distance. One of our most popular models is called the i3 folding mobility scooter. The great thing about this scooter is folds in one unit. The single lithium battery will provide a travel distance of up to 7 miles. If you want to double that distance, a spare battery can be carried in a separate compartment. The SupaScoota range is another excellent option. On all of these models, the individual sections (like the seat, motor, and battery) can be dismantled to make it easier to lift. Perhaps you have a portable scooter which is still too heavy to lift? If this is the case, then you’ll benefit from a ramp of some kind. A wide ramp will provide a sturdy platform for you to push your scooter or wheelchair into the car boot. If our wide ramp is too large, then our scooter ramp with black grip surface may be just the ticket. It comes in two separate channel ramps which are lighter to lift in and out of your car. Ramps can be bought in a range of shapes and sizes. With a telescopic ramp, you can adjust the size to suit your requirements. Click here to view our full range. A hoist will do the heavy lifting while you simply press a button. The type of hoist you choose really does depend on your make of car and weight of mobility scooter or wheelchair. We’d recommend you speak to Philip Chapman Car Care who can customise a range of solutions for you. We can also fit a Di Blasi Car Hoist (which is only compatible with the Di Blasi R30 mobility scooter) which can be seen in action below. The i3 Power Lifter can be purchased as an extra. It can lift a total weight of 27 kg (60 lbs) but only weighs 11 kg (25 lbs) so will easily fold down to sit nicely alongside the scooter. For more info on the Power Lifter, please click here. As you can see, there are many ways to make getting your mobility scooter or wheelchair into your car boot. Please call us 02392 255600 where one of our friendly team would be more than happy to discuss your options.